Everyone needs a little extra space. 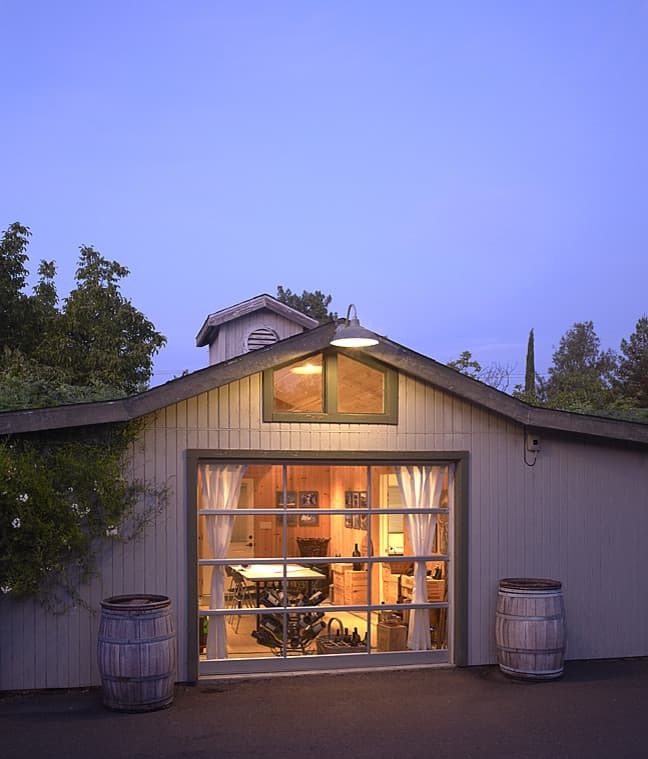 Whether it is in the form of a garage or a little outdoor shed, it can always come in handy. 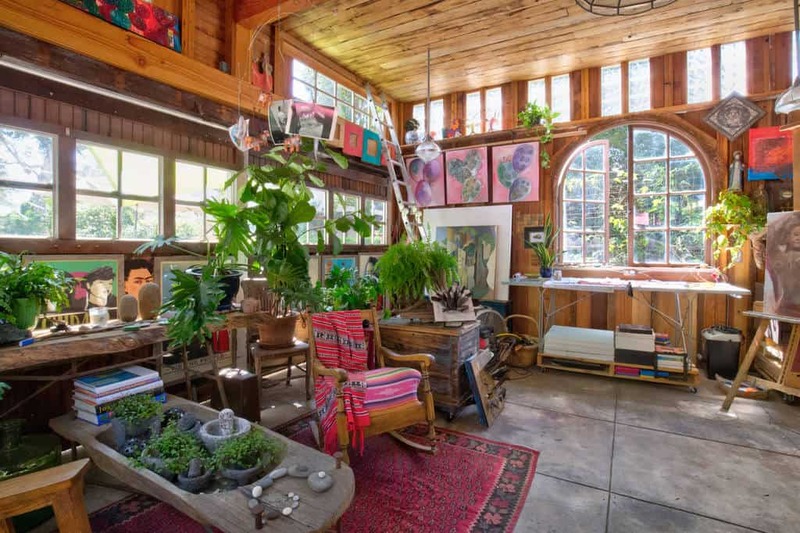 Maybe you could even use a little greenhouse or gardening area. No matter what, you’ve got some planning to do. You want something that works for the area you have, both in regards to spacing requirements and something that looks great. 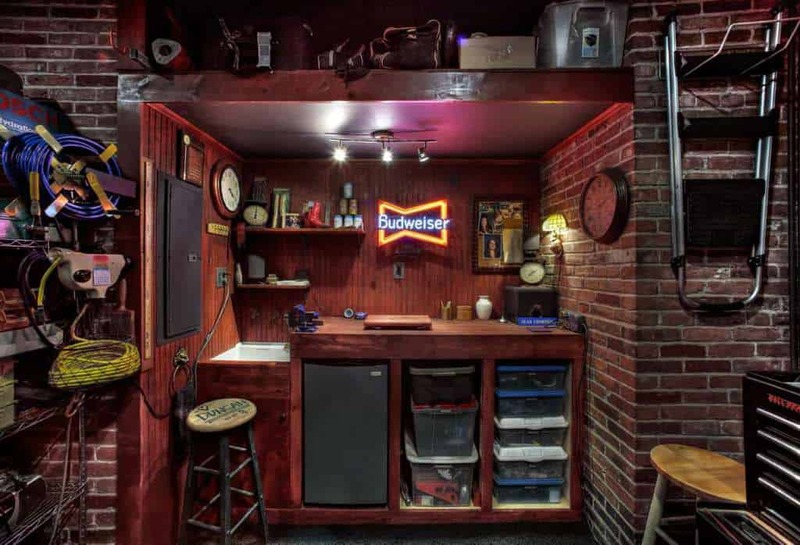 We want to help you come up with the right ideas for your storage areas. 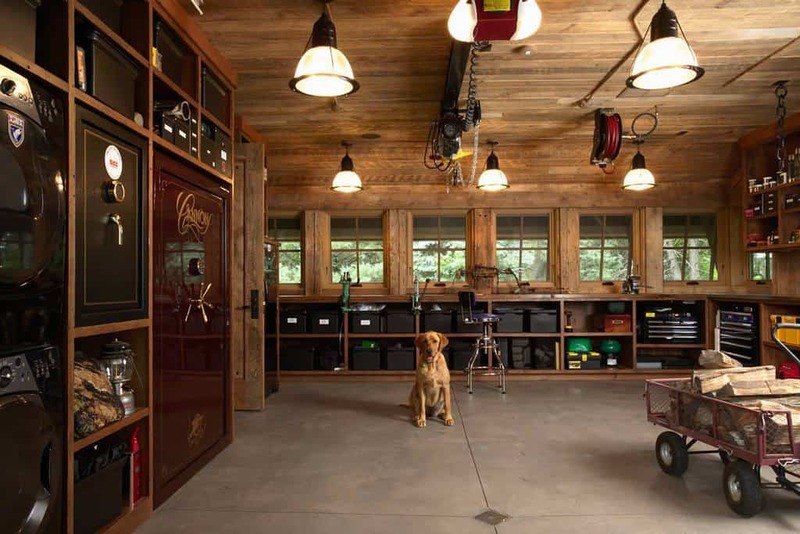 We’ve gathered 27 storage design ideas and we know you will see something that work for you. They range widely in style and size, and we did that on purpose. We want to show you as many options as possible so you can make informed decisions. 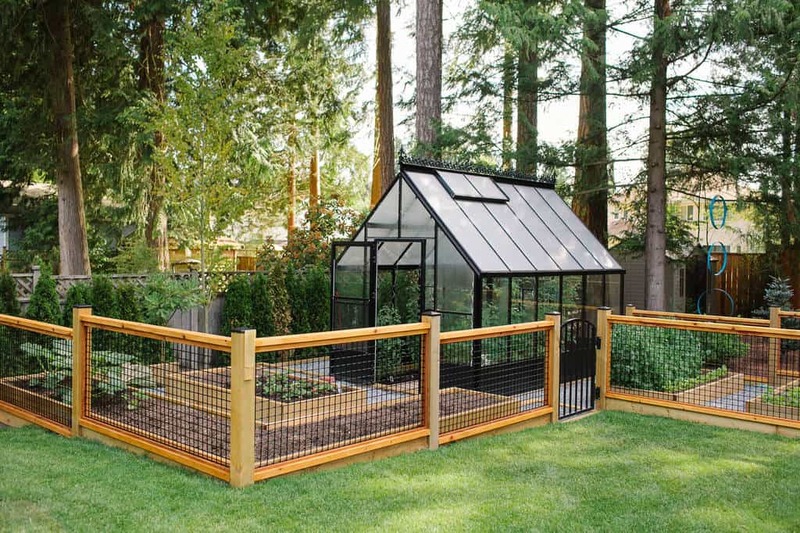 This little greenhouse, surrounded by a fantastic garden area, will be a great space to keep your green going all year long. Just because something looks weathered doesn’t mean useless. 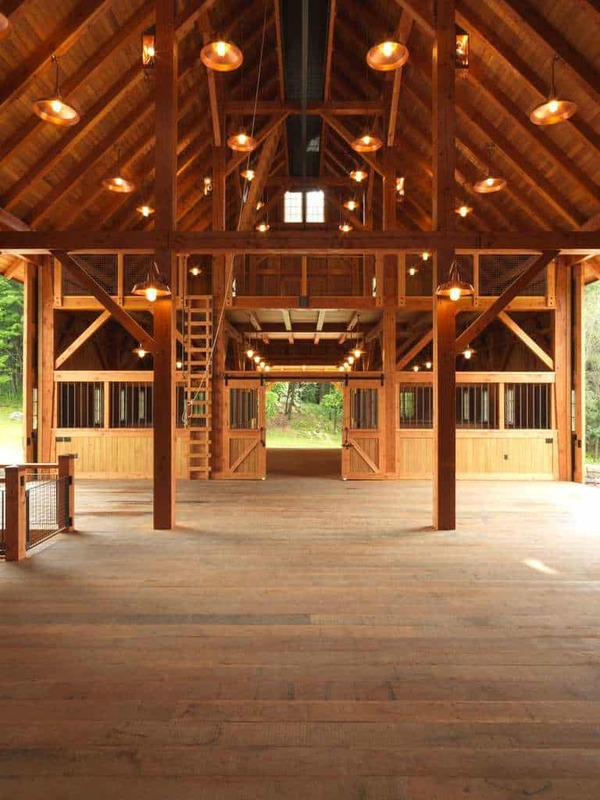 This sturdy space will host all of your events. Throw in some antique style decor for this modern space and you have a great looking storage area. This can be your sanctuary. Come here rain and shine and you will have your plants and a place to relax. 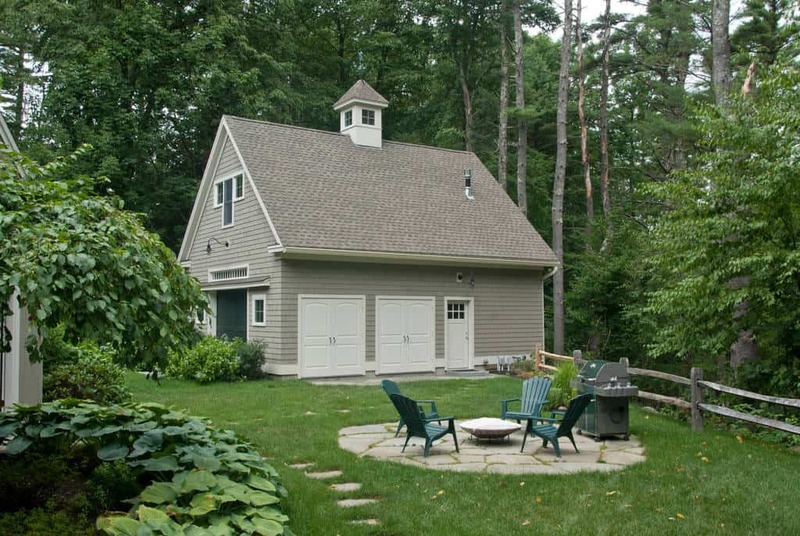 This can be your little quiet space away from the house to get away and relax. 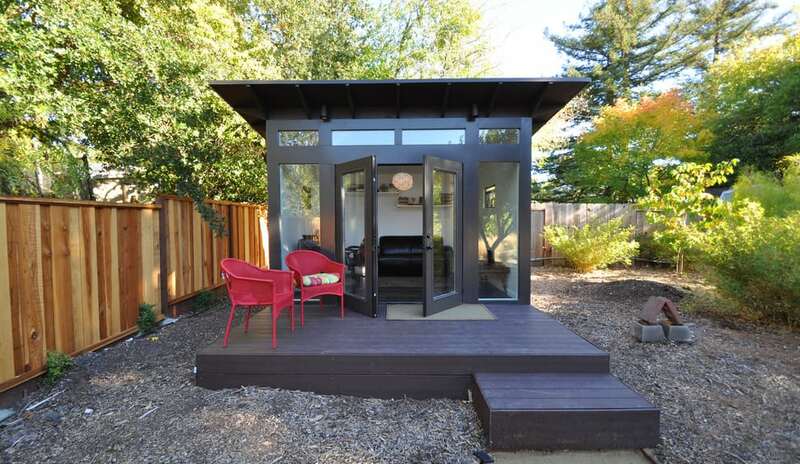 It has a brilliant wooden design and is comfortably furnished. You can get creative with your designs. 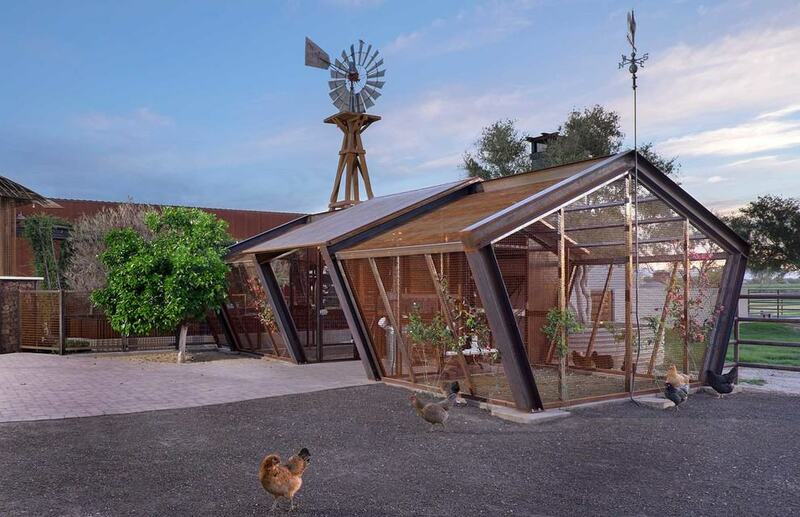 Keep the chickens and that plants in a space that looks contemporary and serves a purpose. Yes, we know you love your pets. Give them the space they deserve and keep them pampered. Every dog has its own area. You can come out here and get your workout in and on a colder night, light the fire and relax in the warmth. 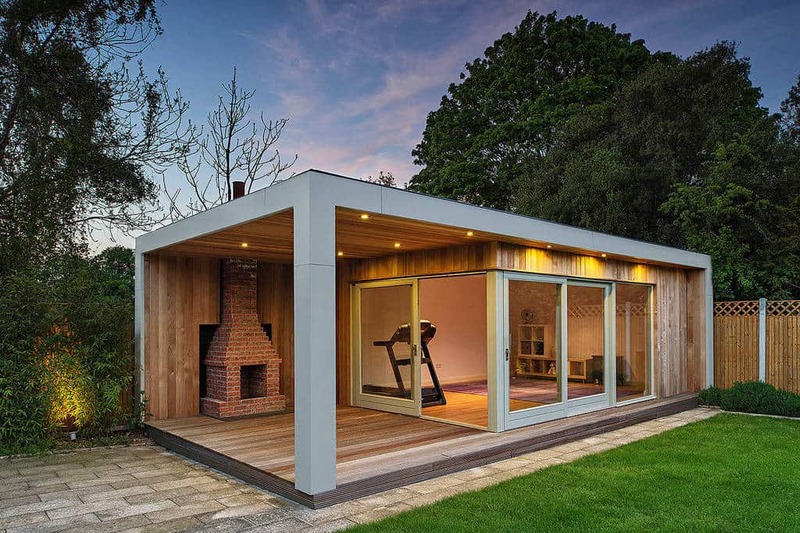 This lighter hardwood design really blends well with the surrounding environment. This will serve your storage needs and looks great. You can come here to get your work done and then kick back on the couch. It will be your own quiet space to get away. 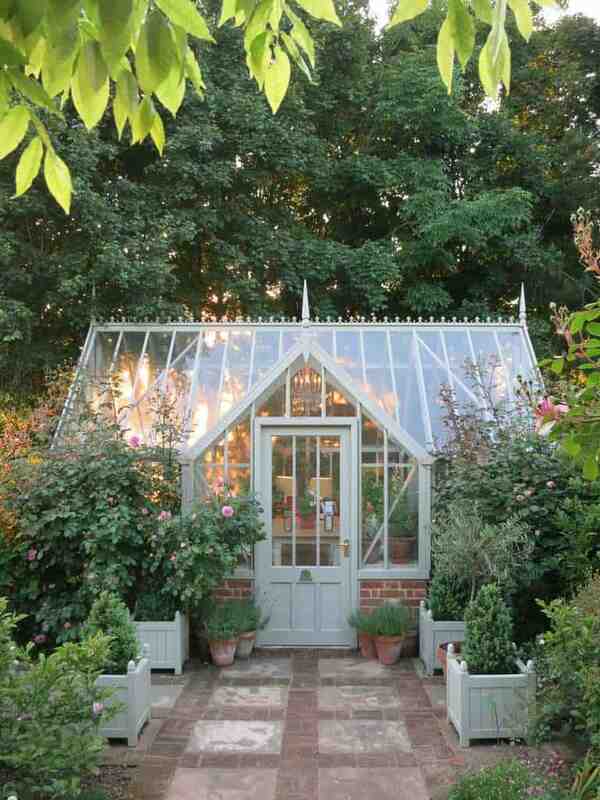 You can built a great greenhouse like this and surround it with wonderful landscaping. This area has a great brick and stone walkway leading to it and it all ties together wonderfully. 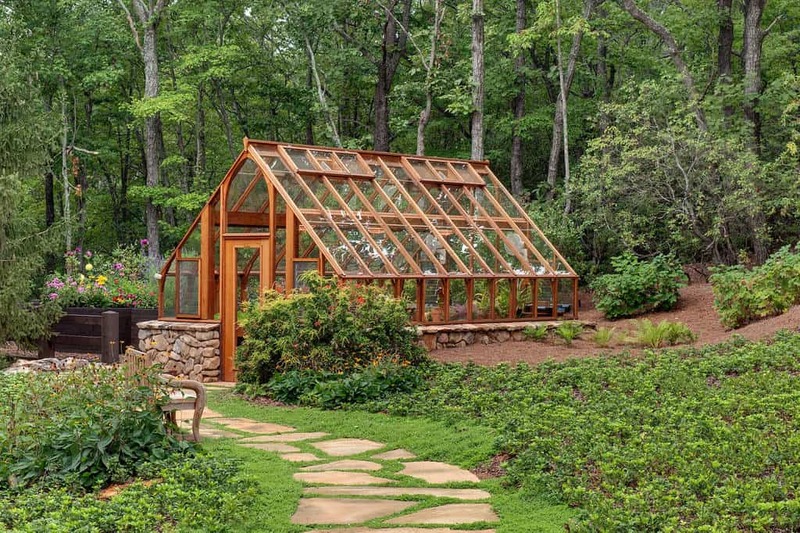 With a beautiful hardwood frame, this greenhouse is like a little hidden gem. It blends with the surrounding and will ensure you have a place for your plants all year. 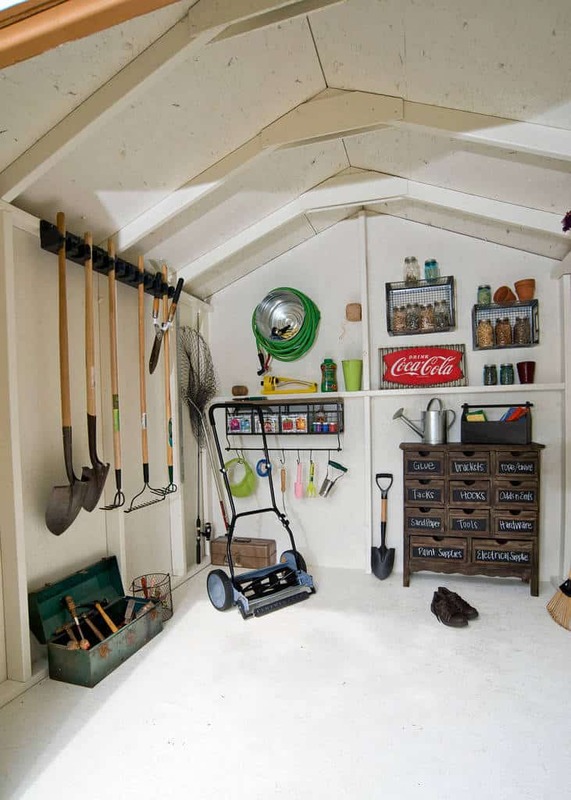 This little storage area will make sure you have a place to keep all of your tools and gardening equipment. It looks great and serves a purpose. This storage area is functional for so many things. This space will keep everything safe and secure and gives you plenty of room to work. 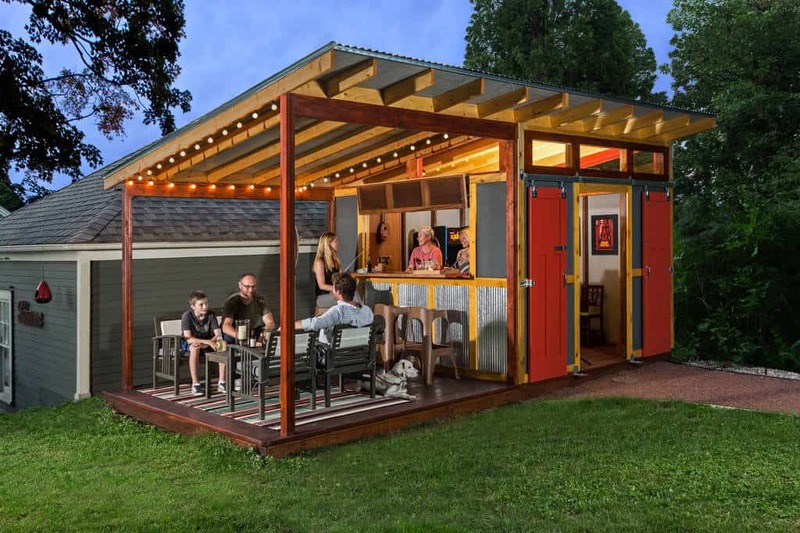 You can have a whole separate area outdoors for any get together you want to have. Here, everyone has a space under the overhang to sit and have a great chat. 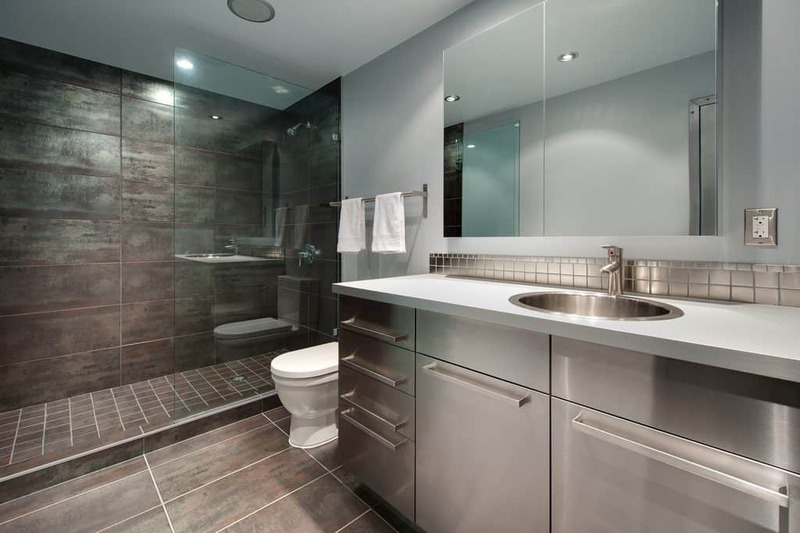 This bathroom area makes use of a contemporary stainless steel design that blends well with the shower style. The landscape leading up to this storage area looks great. 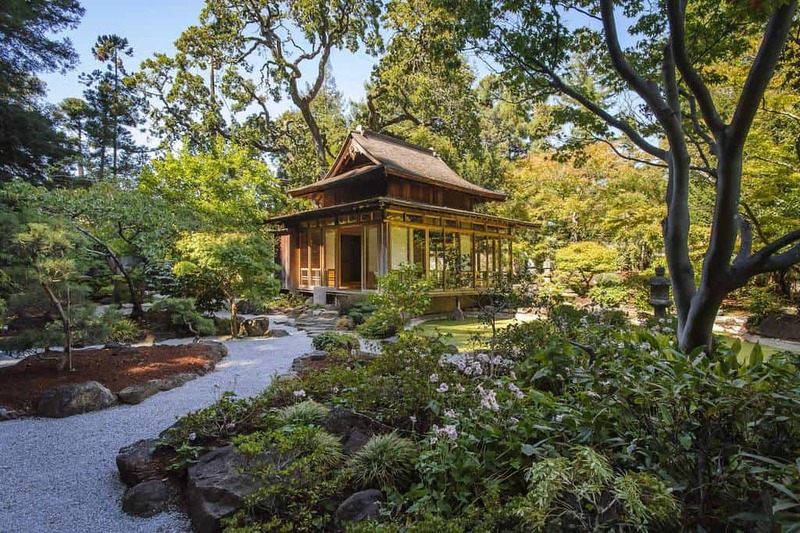 With an Asian style of architecture, you can be sure to love this whole space. 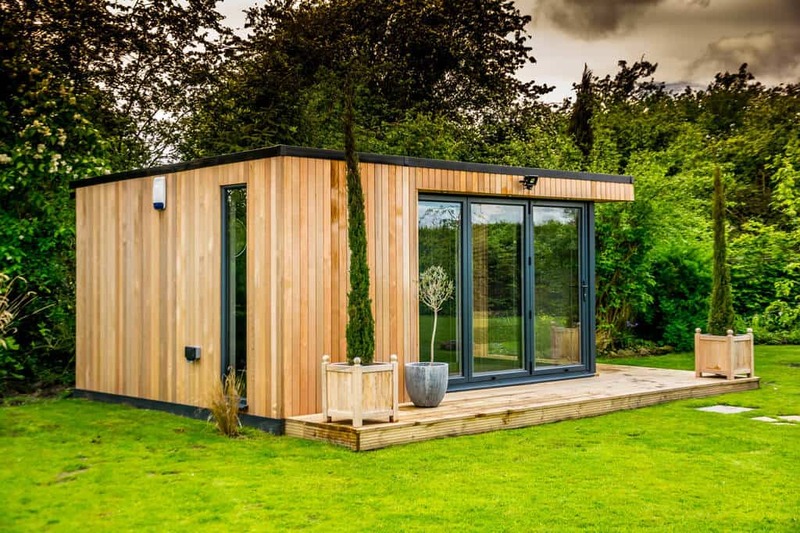 If you are an artist and need a space for a studio, something like this will work great. It is calming and well lit with natural light. Get creative and make your extra space fun for everyone. 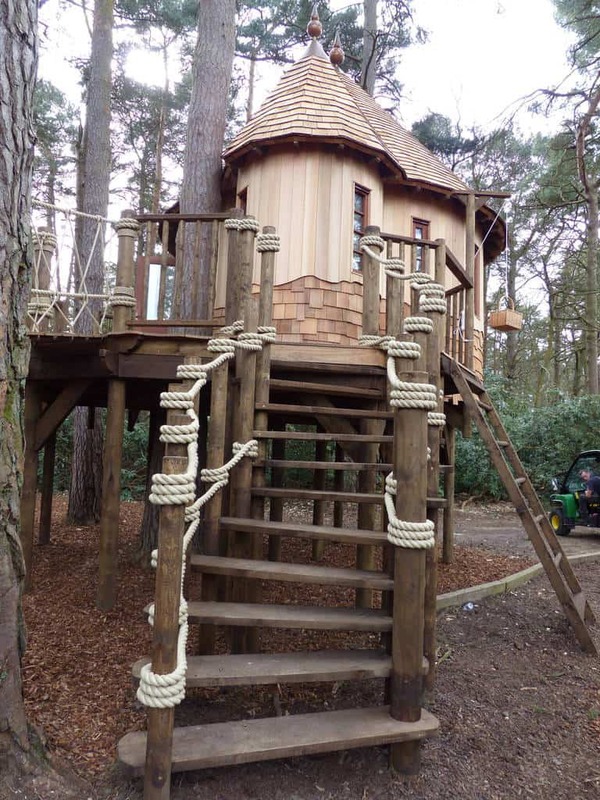 A tree house can he loved by all, from the kids to adults. Sometimes you need a whole separate dining area. This space is elegant and will handle larger parties well. 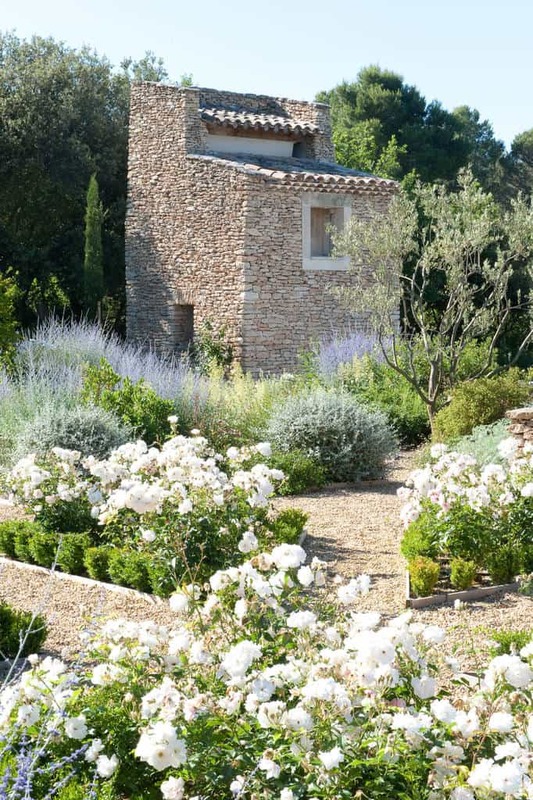 This space makes use of darker designs and blends well with the landscaping. It si comfortably furnished and you will love relaxing out here. 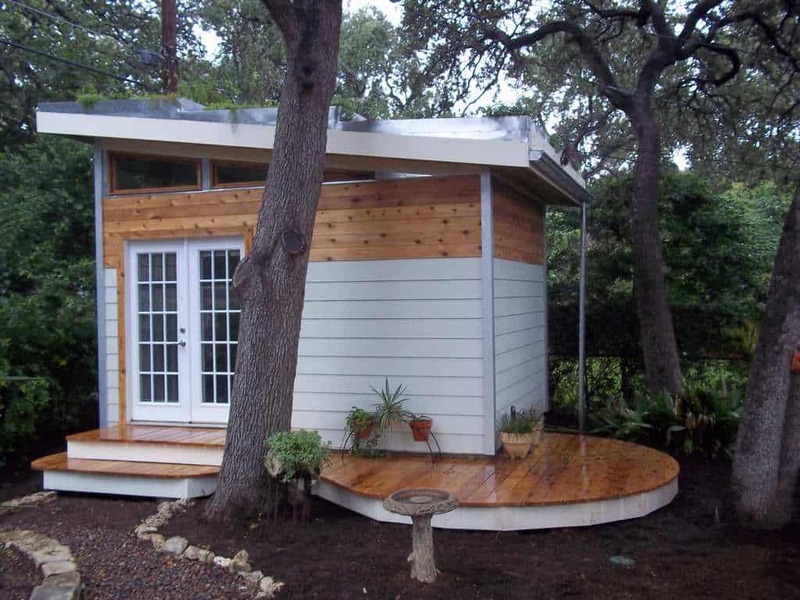 What a beautiful and non-traditional design idea. 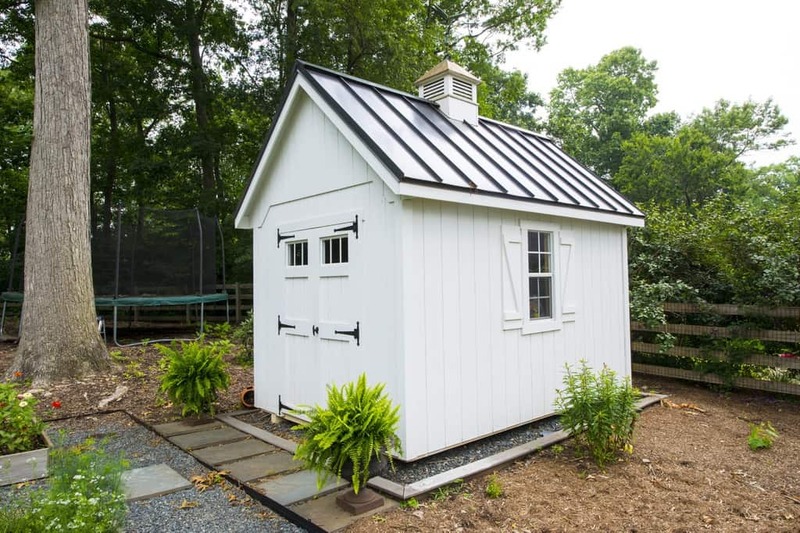 This stone space looks great and will be sure to handle all of your storage needs. The two tones of wood used here blend perfectly. 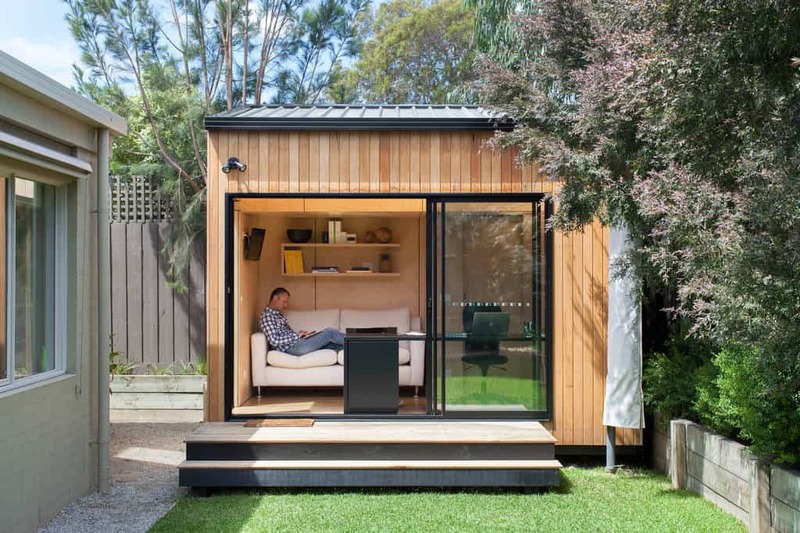 The little deck space surrounding this storage area will give you somewhere to relax at the end of a long day. 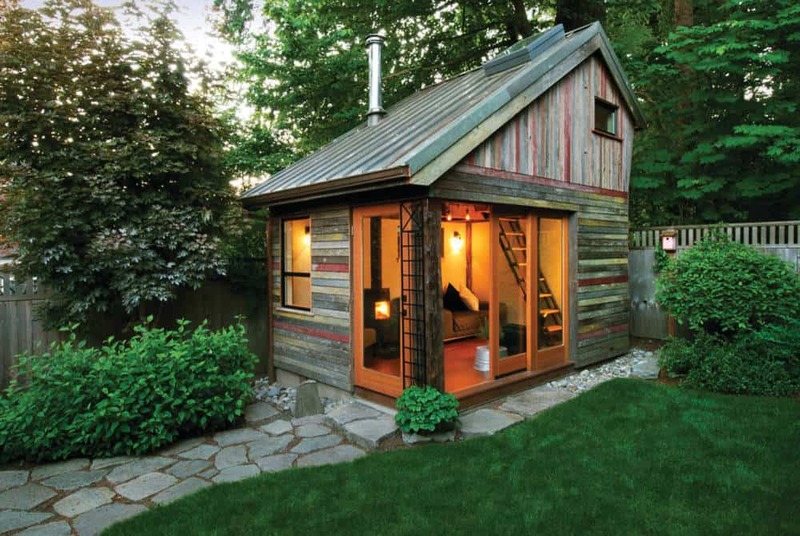 It is like a little house outside of your house. It will certainly be large enough to house your vehicle or any other storage need you may have. 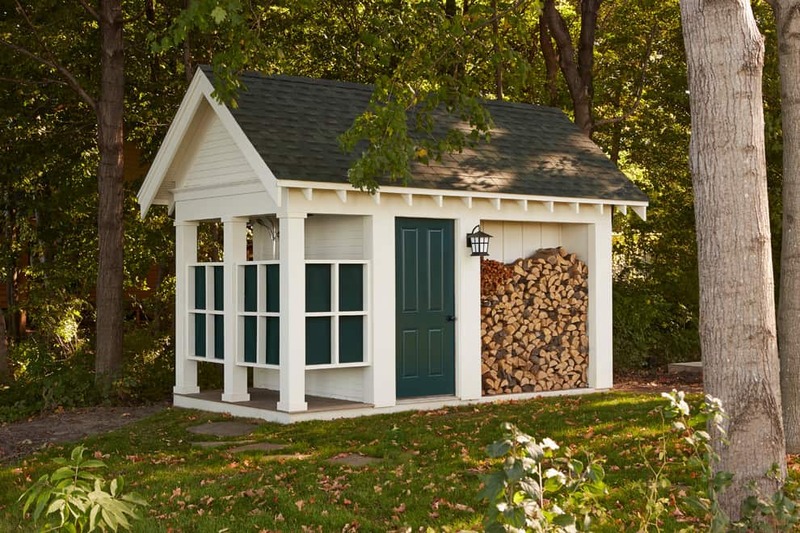 Keep the firewood stacked up for the season. The white and green design works well and looks great. 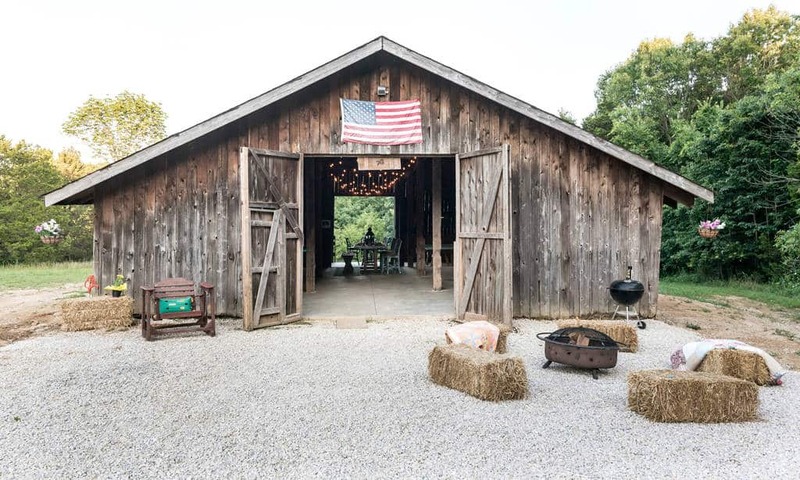 When you have horses and want somewhere stylish to keep them, look no further. This design is large and will keep everyone satisfied. 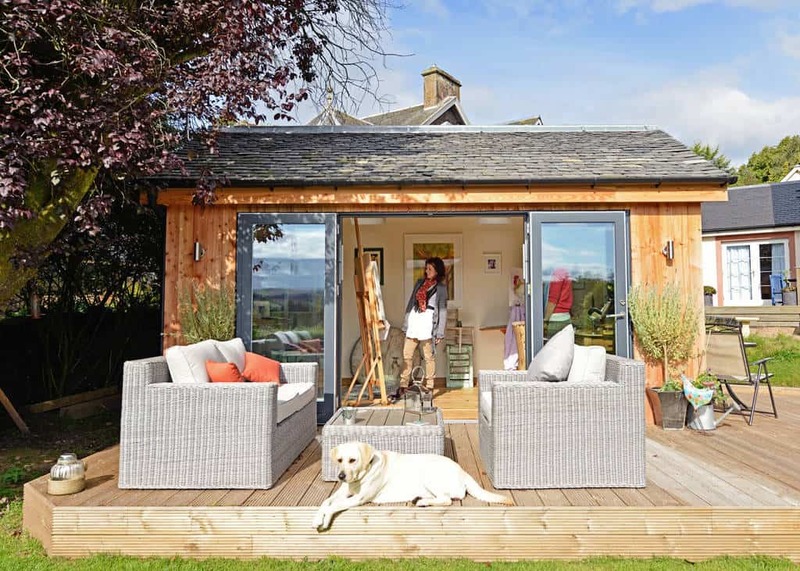 When you need somewhere to go to each day to relax and unwind, think of an area like this. Keep a refrigerator and all of your hobby items ready to go.